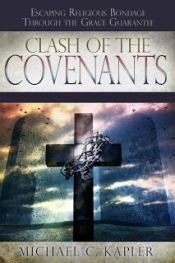 The subject of hungering and thirsting for more of God is an excellent example of being able to see where Jesus would speak of two completely different covenants during His ministry. During the Sermon on the Mount, Jesus said, "Blessed are those who hunger and thirst for righteousness, for they shall be filled" (Matthew 5:6). He wasn't speaking to believers of today, but to Jewish people stuck in a system of hopelessness and despair. They were not blessed because they hungered, but because eventually the hunger and thirst would be satisfied. 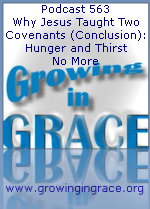 As believers in Christ, we no longer hunger or thirst for God or His righteousness. How do we know this? Later in the book of John, Jesus said, "I am the bread of life. He who comes to Me shall never hunger, and he who believes in Me shall never thirst."